Disclosure: The Contours Bassinet was received for feature. All opinions are my own. 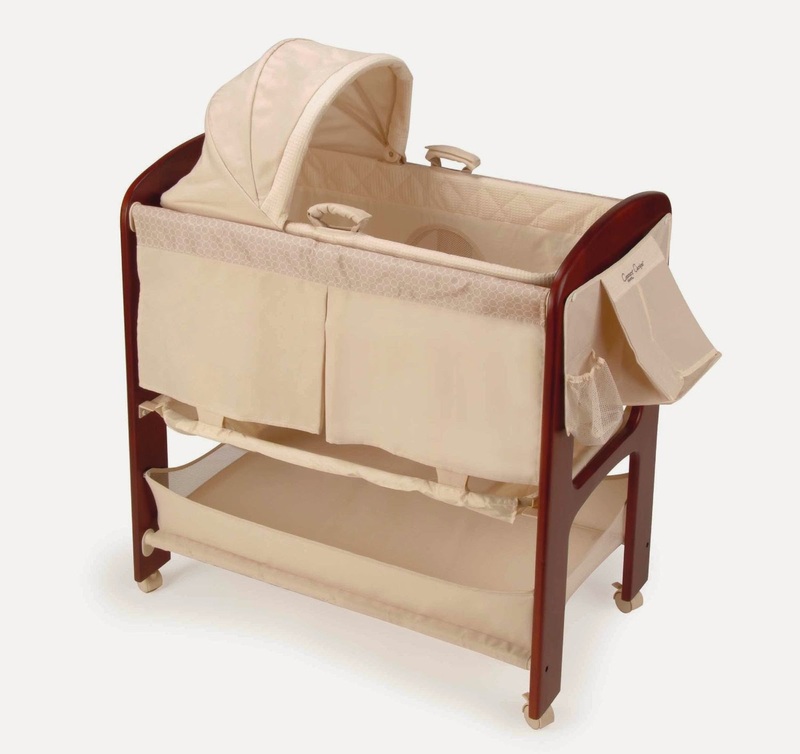 I was drawn to this particular bassinet because it had all the features I was looking for. I have always loved Moses baskets, but a traditional Moses basket just seemed so limiting. Then I saw the Contours Classique 3-in-1 bassinet. It has a removable Moses basket, so it can convert into a bassinet. It also had a changing table, which was really important to me because we live in a small townhouse and space is limited, so I didn't want a changing table that was going to be another big piece of furniture. 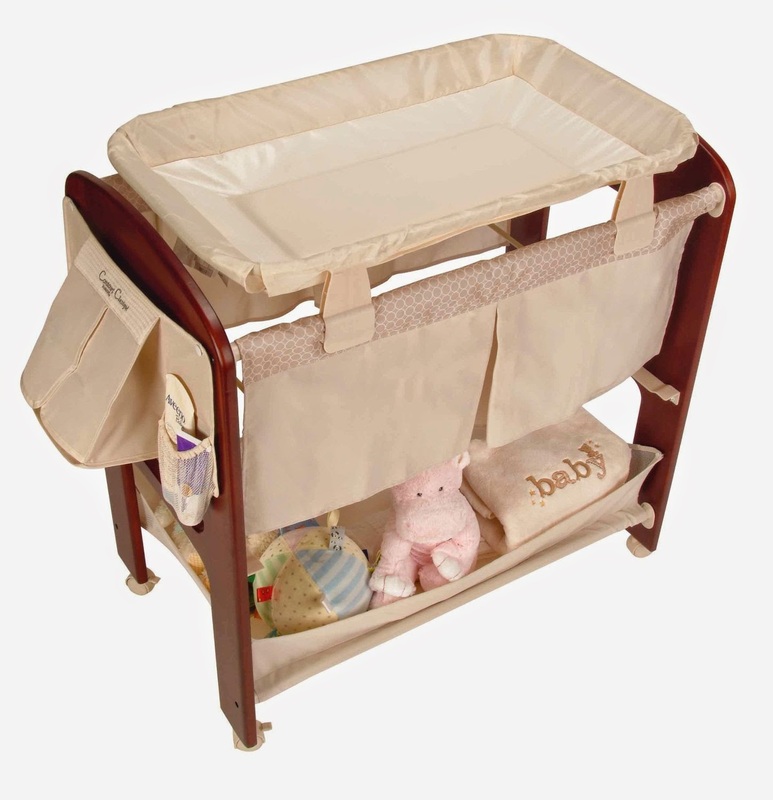 This bassinet even has a storage basket, which is super convenient for diapers, wipes, etc. The wood is a beautiful color, much more classy than a pack n play, in my opinion. My husband had no trouble putting the bassinet together once it arrived, I loved that it was on wheels so that I could easily move it from the bedroom to the living room during the day for naps. The wheels lock for safety. In addition to the large storage underneath, the bassinet also has a diaper stacker, which frees up more space down below for onesies, blankets, etc. The sheet was easy for me to remove and wash.
My favorite thing about the bassinet was that I could remove the Moses basket. I have a two story home, so I am able to carry the Moses basket up and down the stairs. My daughter loved sleeping in her bassinet for the first few months. The Contours Classique 3-in-1 bassinet would be the perfect gift this holiday season, if you know someone who is pregnant, or anyone with a new baby at home. If you’re planning on having any more children in the future, this bassinet is perfect because the colors are totally gender neutral. This is a great Christmas present for this holiday season for anyone expecting a boy or a girl. My daughter slept great in our Contours bassinet. 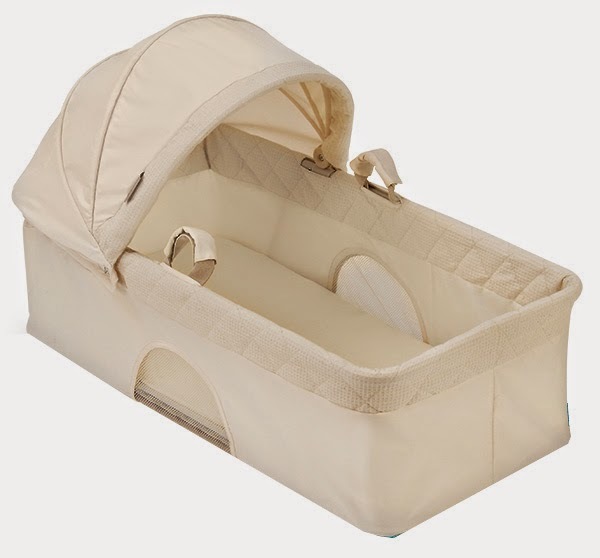 It is so important to have a good quality bassinet so that your baby can get the best sleep possible, and so that the parents also can get as much sleep as possible! We had one of those frilly bassinets. This would have been so much better for our situation. Are you trying to tell us something Liz...! I love the changing table and storage baskets. This would have been great for my grandson a year ago. I'll have to keep this Bassinet in mind. I really like the moses basket feature of this, too. And brilliant, including a changing table! We live in a small house, too, so I feel ya. What a pretty bassinet. I like all the storage it offers too! That is so lovely! I love wood and it really looks great on this bassinnette! Love that it has storage options. That is so important to me since we have a small house.